Christine is a member of the Design Research Society, co-founder of its Design Management Special Interest Group, and organizer of various conferences. Her lectures primarily in the MSc. 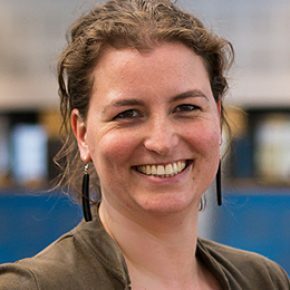 programmes ‘Strategic Product Design’ and “Design for Interaction” at her faculty in Delft, and is also a frequent guest speaker to other universities and schools as well as various networks in practice, such as the Dutch Design Management Network (of which she is currently a board member).